Q: When are movies updated? A: The new releases are updated weekly and available every Tuesday, which is the national release date. A: The machine accumulates charges per night, per DVD, plus tax. Your credit card is charged when you return the movie. 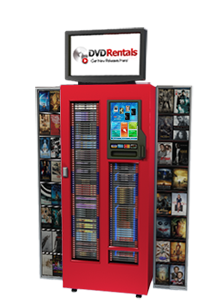 A: You can rent up to 5 DVDs at the same time on one credit card. A: You have up to 20 days to return your movie. If you do not return the movie, the credit card that you rented the movie with will be automatically charged the listed selling price of the DVD. A: If you lose a movie, the credit card you rented the movie with will automatically be charged the listed selling price on the 20th day the movie is checked out. A: Please call Greenpond Corner Grocery at 423-332-5050. You will not be charged.